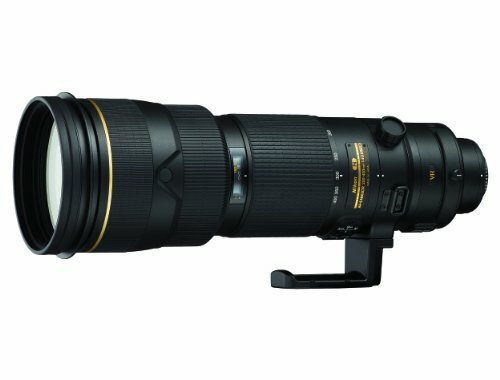 Versatile super-telephoto zoom lens Powerful super-telephoto zoom lens that’s perfect for sports and wildlife shooting offering constant maximum aperture and VR II Image Stabilization. Nano Crystal Coat Further reduces ghosting and interior flare across a wide range of wavelengths for even greater image clarity. 4 Extra-low Dispersion (ED) Elements Offers superior sharpness and color correction by effectively minimizing chromatic aberration, even at the widest aperture settings. Three Focus Modes A/M mode joins the familiar M/A and M modes, enhancing AF control versatility with fast, secure switching between auto and manual focus to accommodate personal shooting techniques. Rugged Construction Featuring enhanced dust and moisture-resistance, magnesium die-cast barrel construction and a protective meniscus front lens. Close Auto Focusing to 6.6 feet at all focal lengths Focus to 6.6 feet using AF or 6.4 feet using manual focus enabling striking image perspectives.